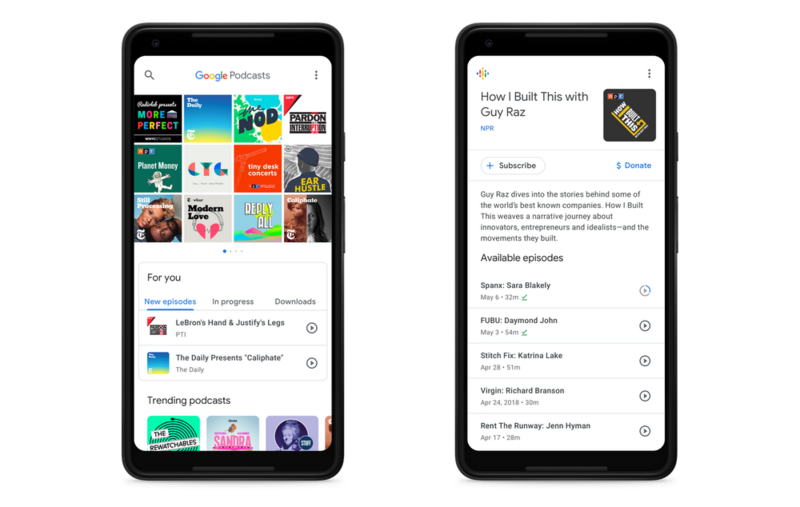 Although Google Play Music began offering podcasts a few years ago, the internet search giant did not offer a standalone podcast player until now. Google Podcasts is a free Android app that integrates with Google Assistant across multiple devices and provides personalized recommendations to its users. Once upon a time — back in February 2010, to be accurate — a project by Google Labs simply called "Listen" provided an easy way to enjoy podcasts and integrated directly with Google Reader. During the last few years, Google Play Music included a section dedicated to podcasts. Now, a dedicated podcast player is finally available from Google. Google Podcasts is obviously a free app and, unsurprisingly, it integrates with Google Assistant across multiple devices and provides personalized recommendations. After all, Google has been gathering a lot of data about every user's preferences, so why not use that data for the benefit of these users? According to the official blog post about this product's release, "With Google Podcasts, you can listen and subscribe to any podcast, including popular shows like The Daily, Cyrus Says, Modern Love, Lage der Nation, The Bill Simmons Podcast, and literally millions more." In the future, Google aims to add automatic subtitles powered by Google Translate, so one can easily enjoy podcasts in any language even when spending time around noisy areas without headphones. If there's anyone around listening to podcasts in 2018, let us know all about it in the comments.